Searching, Playing, and a little Learning. 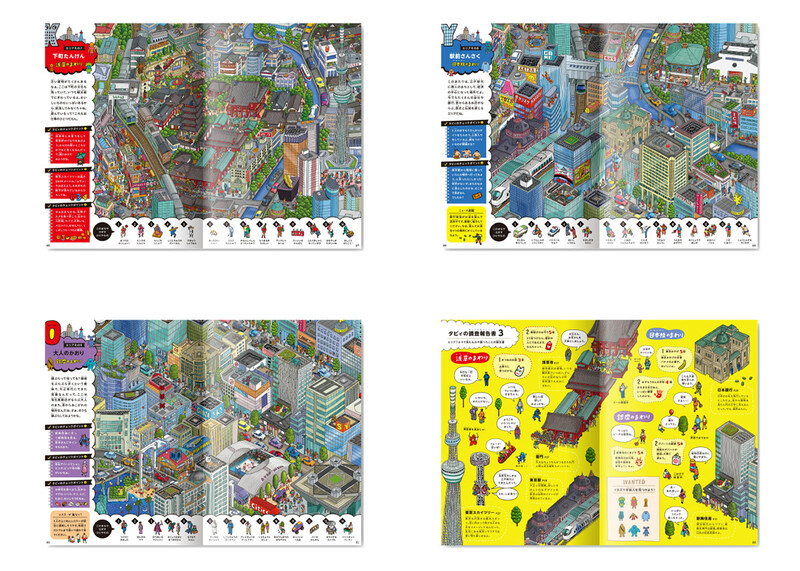 -This is a map picture book. Publisher : Shobunsha Publications, Inc. Recently, due to the spread of the Internet, opportunities to read and understand maps are getting less for both children and adults. 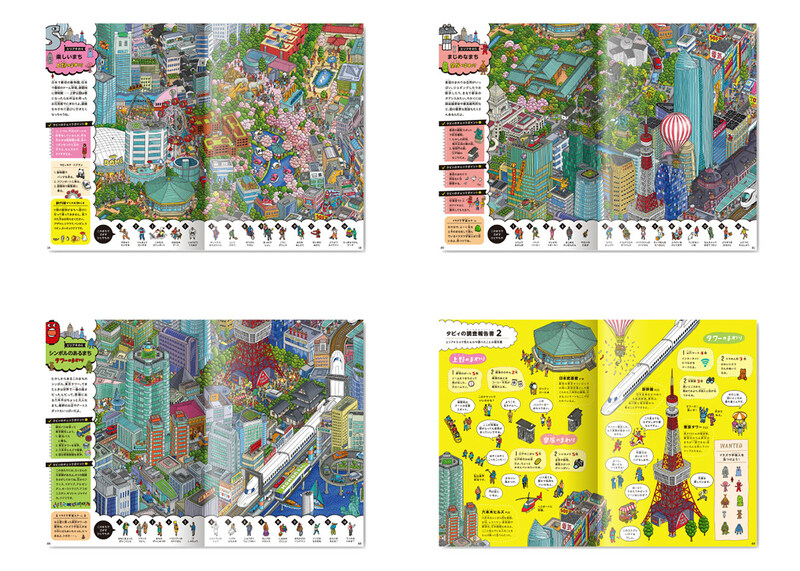 In such times, we received a request from a map company to make a book which would allow children to expand their imagination and initiate excitement through looking at maps. In order to make the book appealing and fun for children we created aliens as ‘guide characters.’ The main character is also a reader. 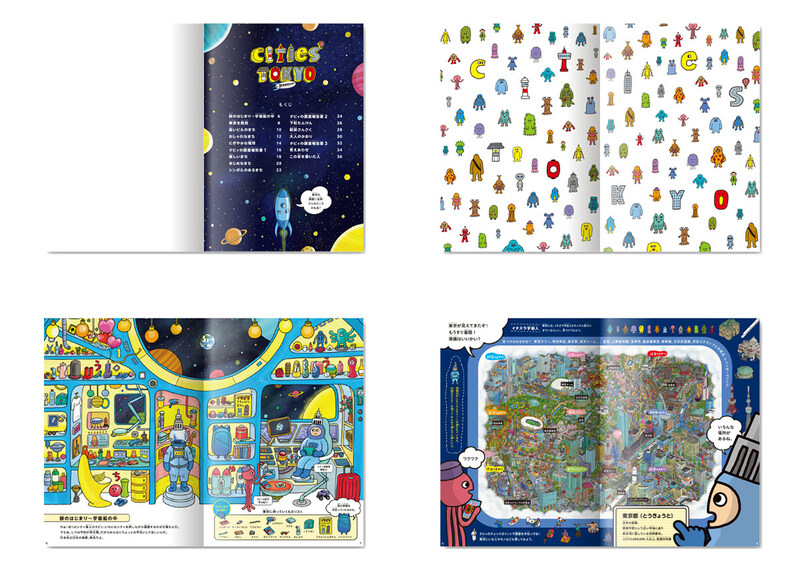 Using the ‘navigating alien,’ Tabby, children can explore the city of illustrations all the while searching for suggested items, making their own discoveries, learning a little and hopefully feeling like they would actually like to take a trip somewhere themselves. 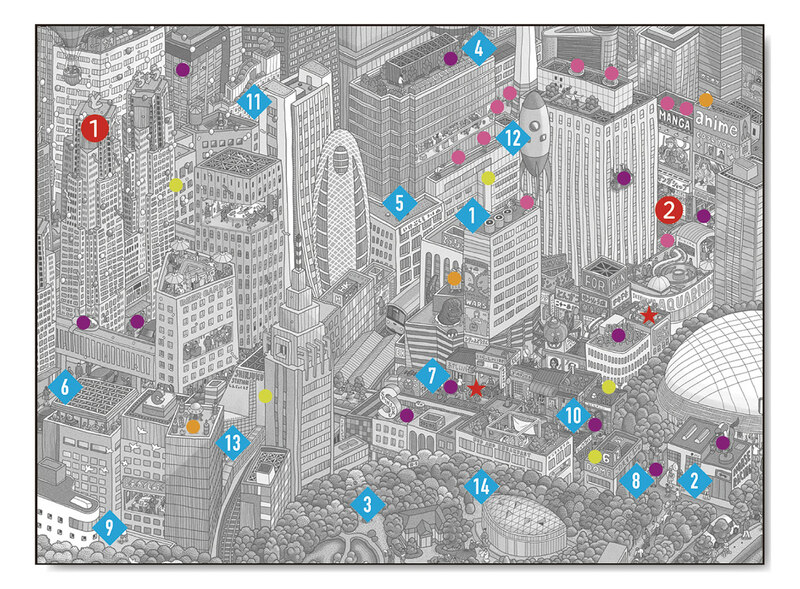 From the publisher: We want to make a map that everyone will enjoy and not tire of. 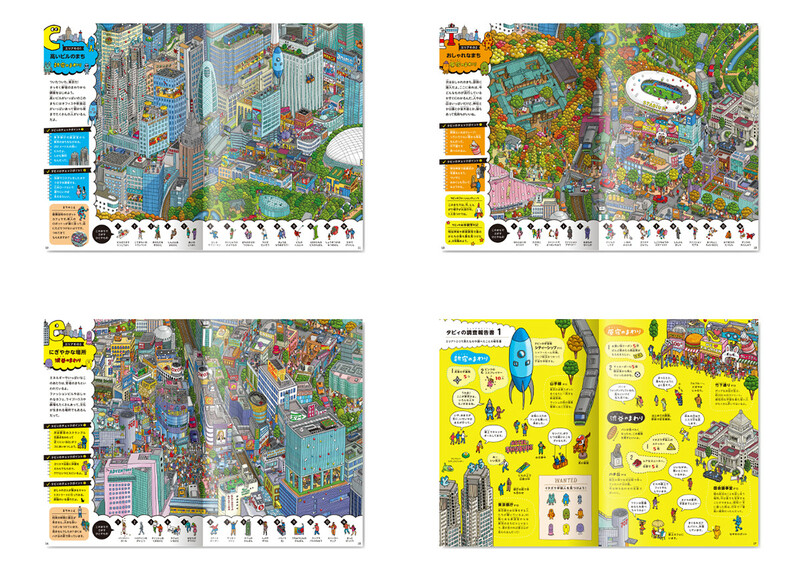 We hope that the book can be used as an interior accessory and that children may use is as a gateway to map reading. 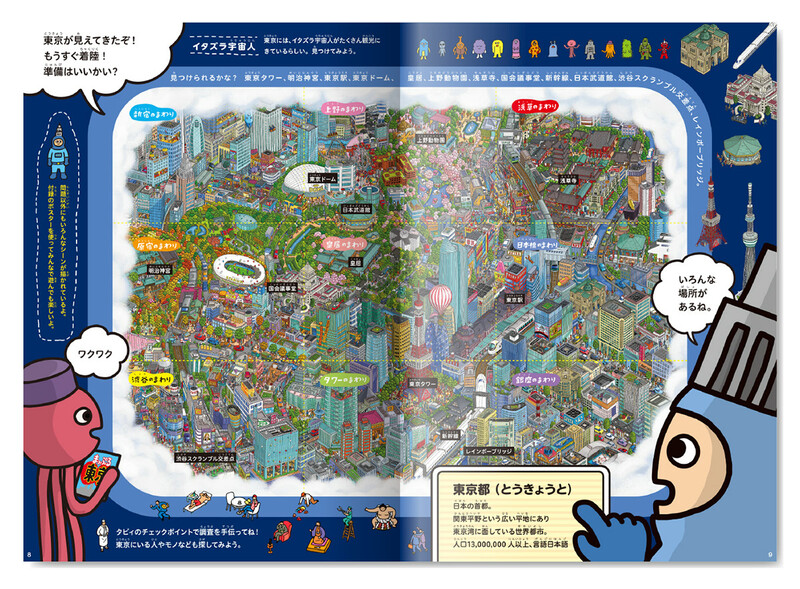 We also hope that by introducing small children to maps it will prompt Shobunsha to think harder about future map books. 1. Destination type map (or ‘Strider’) that emphasizes the accuracy used for directions. 2. 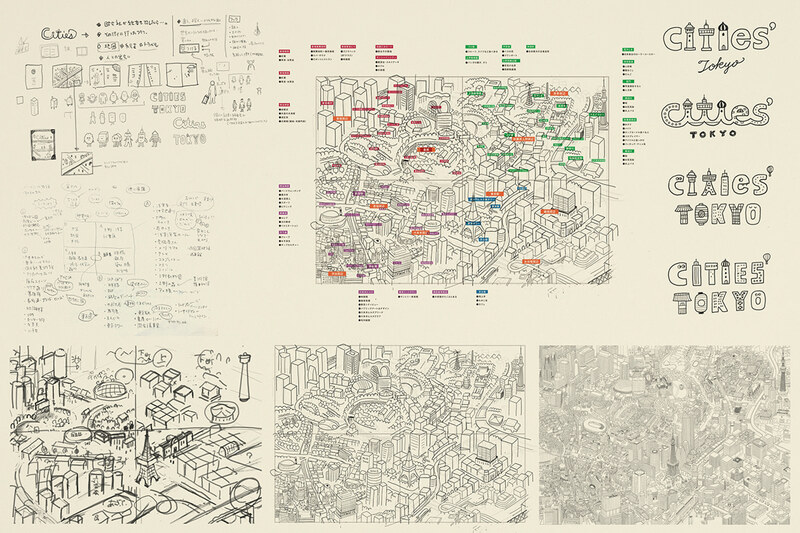 Excursion type map (or ‘Stroller’) that can extend the imagination while getting to know the characteristics of a city. This book is an example of the second type- Excursion type map (or ‘Stroller’). Tabby and Mappy- an investigator and an assistant respectively. They are from the star called ‘City.’ They are investigating while travelling around various stars. 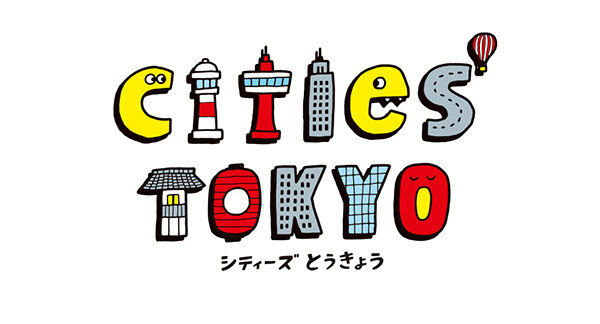 They explore Tokyo, the capital city of Japan. They encounter various people in the city. People are working, playing, walking, eating etc. First, we thought of the stories, characters and flat plan. Next, we picked up various buildings, facilities, stores, examples of transportation to make up the city. We created a logo of the same world view that matches the content/illustrations in the book. 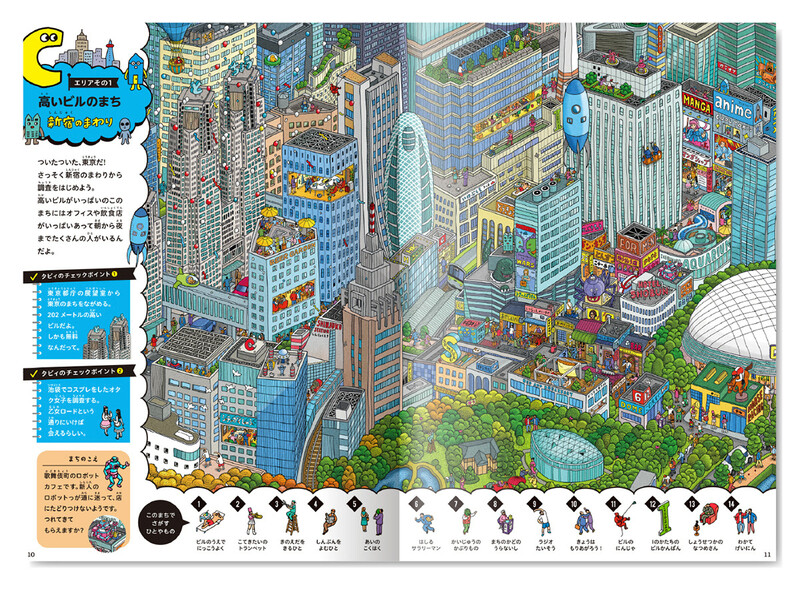 The book explores the 9 areas of Tokyo in turn. 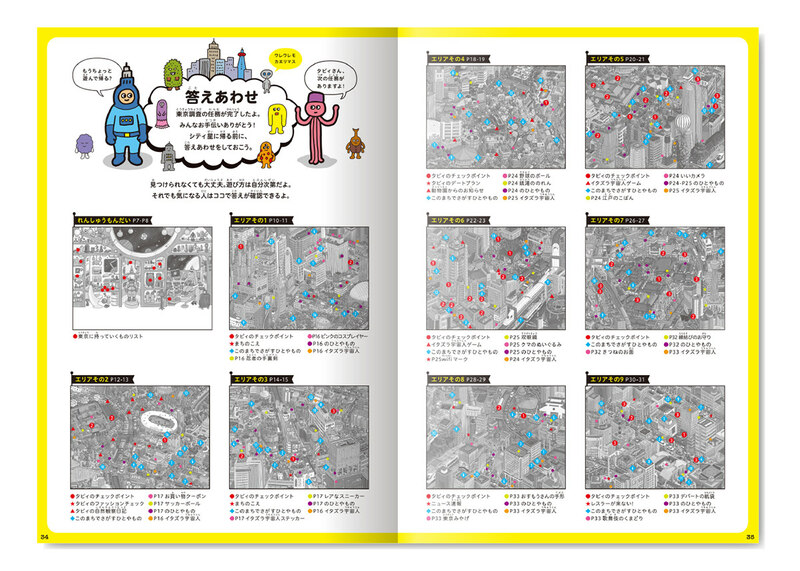 In each area, the reader can try to find people and items. There are check points and requests from people in the city. Some examples are Cosplay girls, a rookie robot who got lost, a trumpeter in a marching band, a ninja climbing a building and a signboard. There is a report after every 3 areas. In the Investigation Reports, extra quests are given. 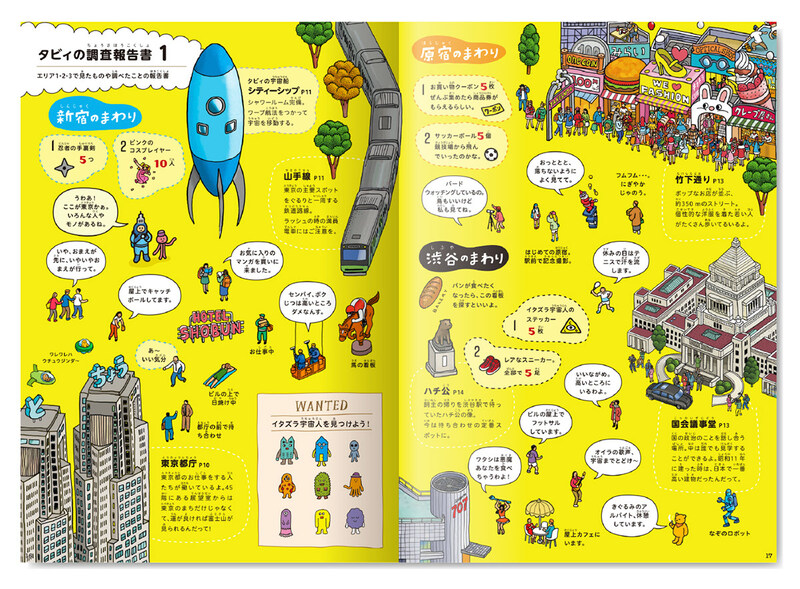 Readers must look for shopping coupons, a ninja’s throwing stars, soccer balls, horse signs, building cleaners, people sunbathing, street musicians, part-time character mascots taking a break, etc. The reader must look for naughty aliens. 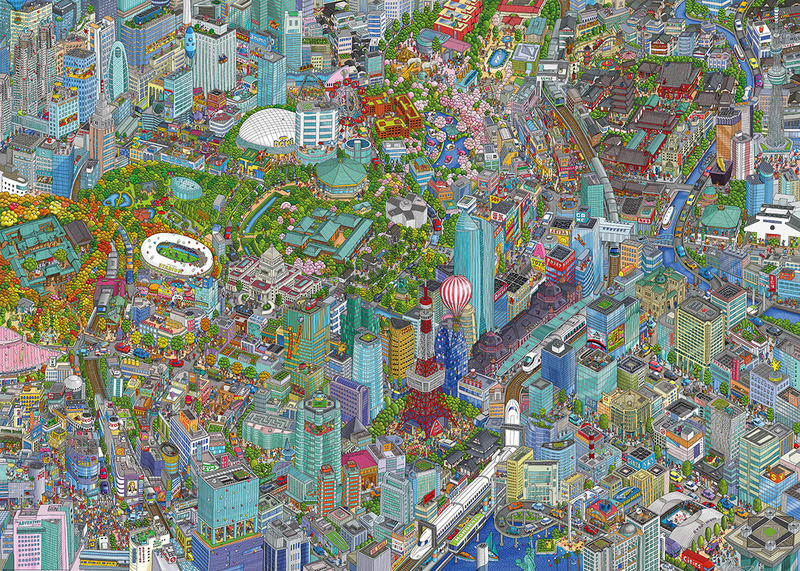 A big TOKYO illustrated poster is attached. Searching, Playing, and a little Learning. 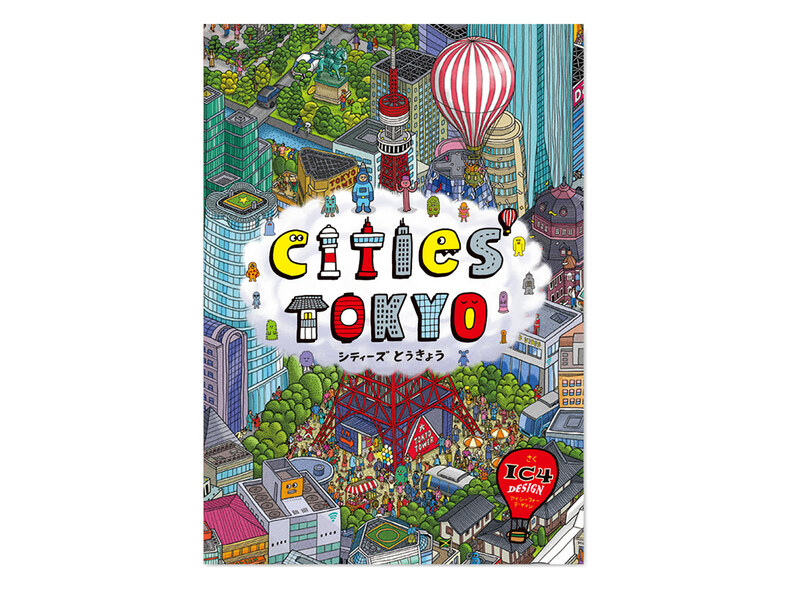 This is a map picture book called "CITIES TOKYO"